iShopping.pk brings you the best price for Babyliss Hair Dryer (D-341) with 1 year official warranty and express shipping all over Pakistan. 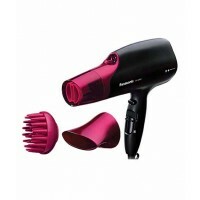 The new D341E Hairdryer Expert Plus 2200W is the new energy-saving miracle from the Expert series of BaByliss. With a drying capacity of 2200 watts of energy consumption is just once at 1600Watt; 25% lower than with conventional hairdryers. He also has an ionic function for extra shine and smoothness.